EU Commissioner: Ryanair must Comply with European Legislation. EU Commissioner Marianne Thyssen (Work and Social Affairs) stated Tuesday against Ryanair boss Michael O’Leary that the airline must comply with European law. “Respect for the law is not something that employees would have to negotiate,” the EU Commissioner said to Ryanair’s CEO in Brussels. O’Leary himself had asked for a meeting with the commissioner. On Friday again, pilots struck various EU countries, including the Netherlands. The conflict with Ryanair essentially revolves around the employment circumstances that the budget society uses. Now for the forty to fifty Ryanair pilots working in the Netherlands, Irish legislation applies. They want the Dutch labour legislation to be enforced. “The EU’s internal market is not a jungle and has clear rules for the employment contracts for aircraft crew members. 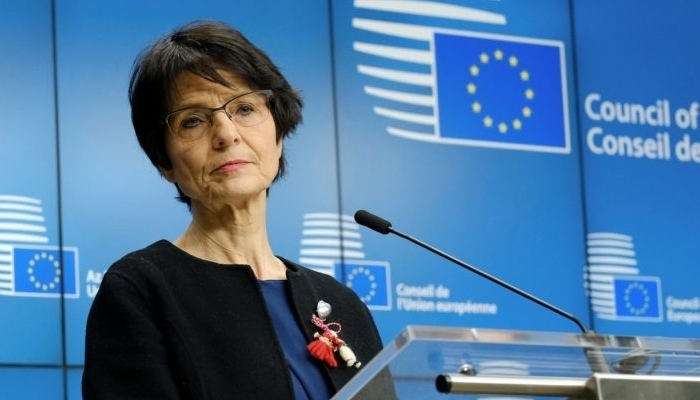 It is not the flag under which an airline flies that counts for the legislation”, states Thyssen. The EU’s internal market is not a jungle and has definite rules for mobile workers “, the EU said. -Commissioner. Afterwards, O’Leary went to the Belgian trade unions at a press conference in Diegem to support the strikes on Friday. According to the Irish, they are only there to wreck society and have nothing to do with the preferences of the employees. as soon as we can reach an agreement with the trade unions”, according to the Ryanair CEO.